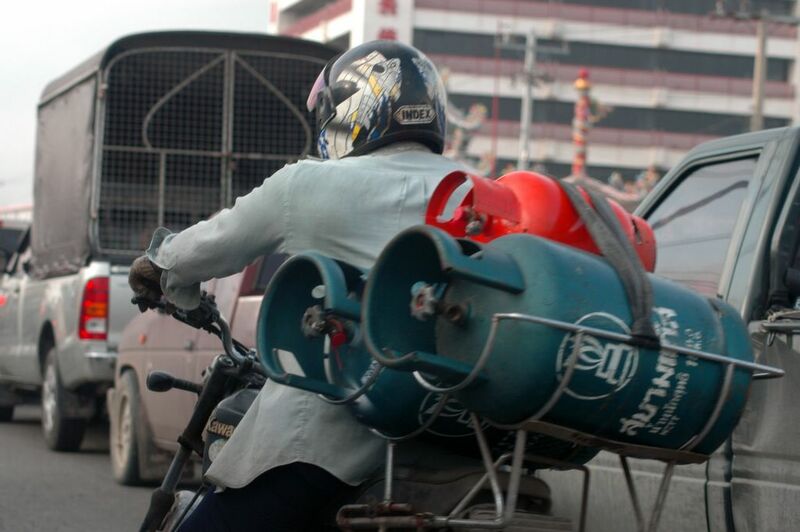 Transport of gas containers in Thailand. I think this guy has watched Schumacher too much. He is overtaking my car you have to see to believe.